Hay House Inc., 9781401943424, 264pp. Elisa Romeo is an intuitive, a licensed marriage and family therapist, an author, and a speaker. Her worldwide private practice consists of thousands of clients, who she works with by merging a background in depth psychology with an ability to directly communicate with Soul. 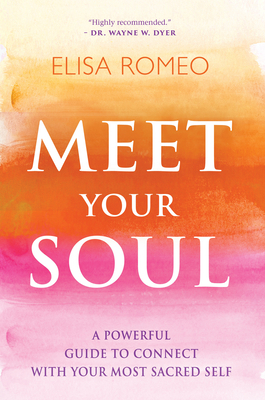 Elisa’s mission is to help us connect to our Souls, so we can hear their guidance, power, and love. Elisa is known for speaking the language of the Soul with humility, humor, and grounded candor. Learn more at www.elisaromeo.com.